This evening Shane Joseph, the editor at my publisher’s (Blue Denim Press) and I are doing a presentation on marketing your fiction book. 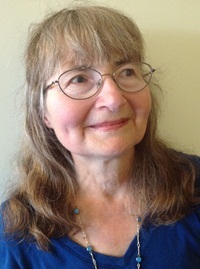 Two points of view – author and publisher – will be covered at the Beaches Branch of the Toronto public library system. For those who can’t make it for obvious reasons – you don’t live anywhere near Toronto, Ontario Canada, I’m not exactly going to give a rundown of our content in this post. But, there are a few Marketing Your Fiction points I will mention. Marketing your book – whether self-published or published by a trade publisher is hard work. You start way before your book is being published and you continue long after. It is a constant learning experience and I have found that learning how others market their books – whether through social media or through workshops or networking – can only help. And not just you and your book. For example, if you attend another author’s book launch, you can meet many new (to you) authors and do what authors like to do most (beside sell book copies) when in the same room – talk about writing and all that goes with it. Author readings and presentations at cafes, pubs and libraries are another good way to see what is going on with other authors and their books and where you can fit in. Joining a writing organization that focuses on your writing genre is also helpful. For example Romance Writers and Crime Writers of Canada. Often joint presentations can be enlightening as you can again learn from each other. And it’s not just other authors you can learn from. Don’t forget the publishers. Even if you go the self-publishing route, remember that publishers know what is going on out there in the publishing world and can provide information from their viewpoint. Another trick I have learned is to attend talks, panels and the like where a publisher and/or a literary agent talk. Not just for their knowledge, but after the talk, you can go up to them, introduce yourself, make a positive point about their talk, and give them a soft pitch about your book – basically to find out if you could email them a book query. Sometimes the publisher will say to skip just that and send a few chapters to them, not the general submission email. The point here is you are no longer part of the slush pile. You have established a connection with them.You can start your query or cover letter with something along the lines of you and the publisher (or agent) talked at such-and-such a time and the go into your query. Join Sharon A. Crawford, author of the Beyond mystery series, and Shane Joseph from Blue Denim Press, for a lively presentation about marketing your fiction book. Sharon will discuss how the synchronicity of series characters and plot affects book marketing, while Shane will outline recent publishing innovations. No admission charge.